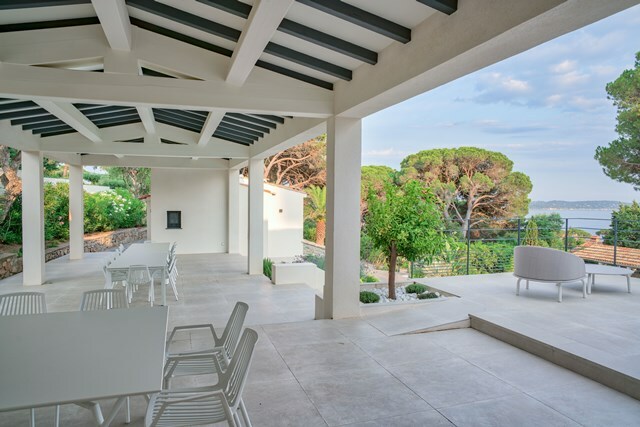 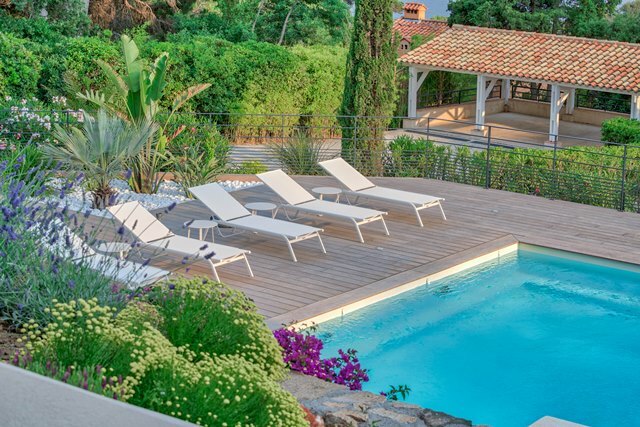 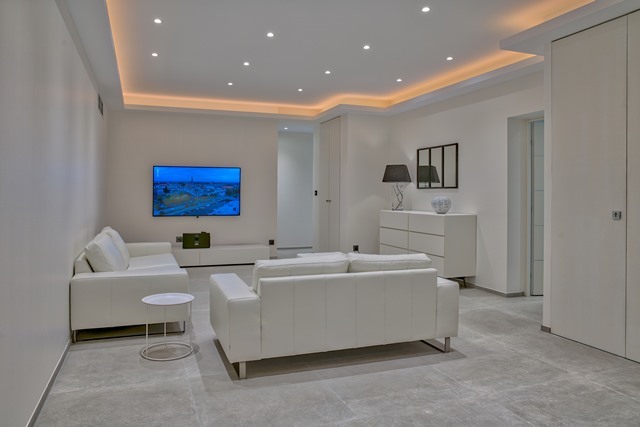 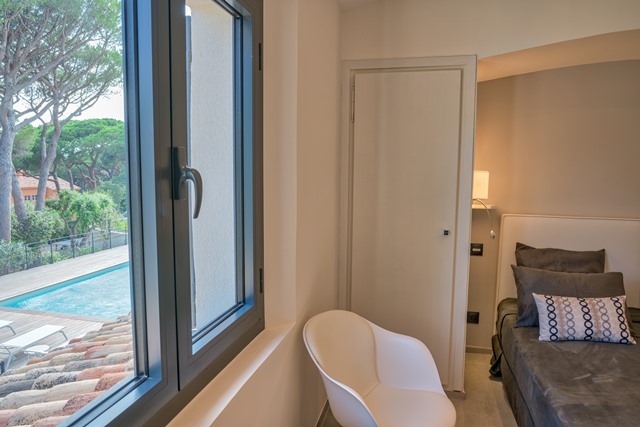 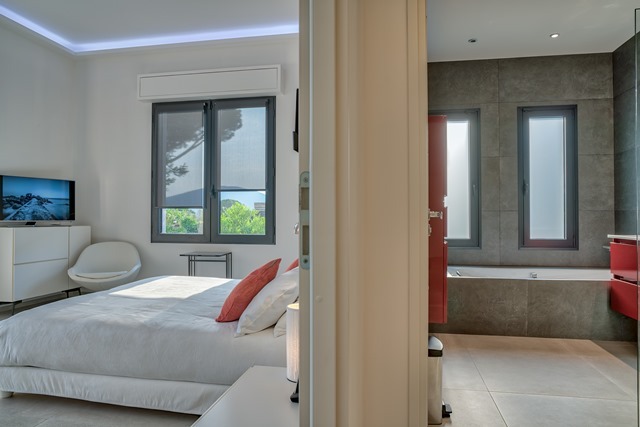 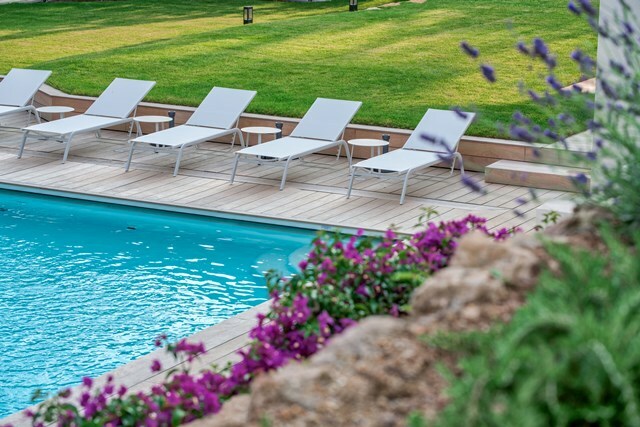 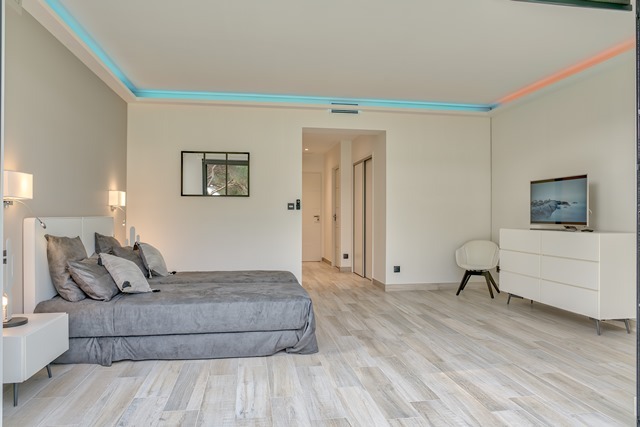 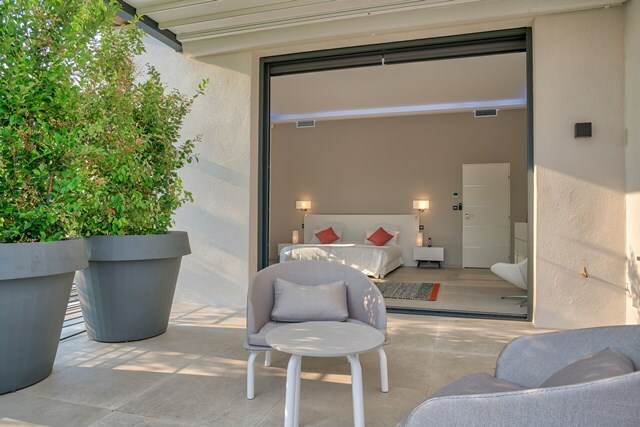 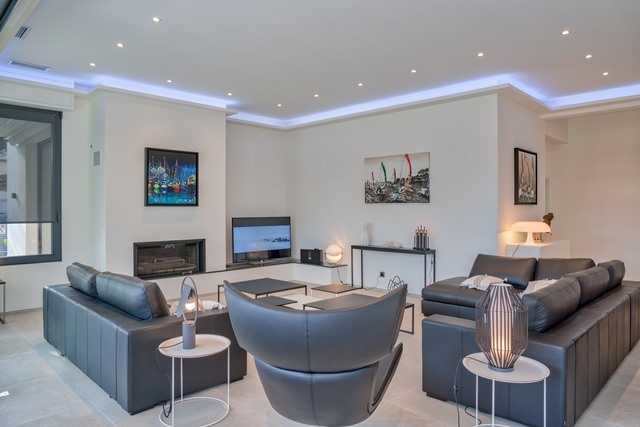 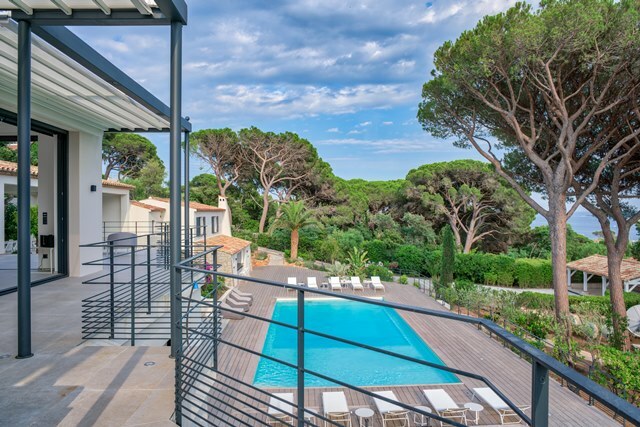 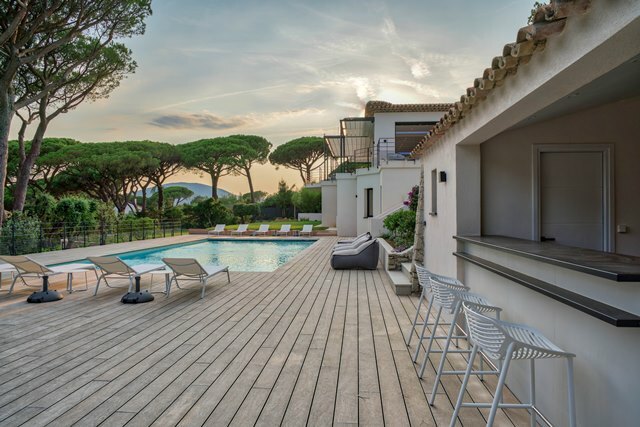 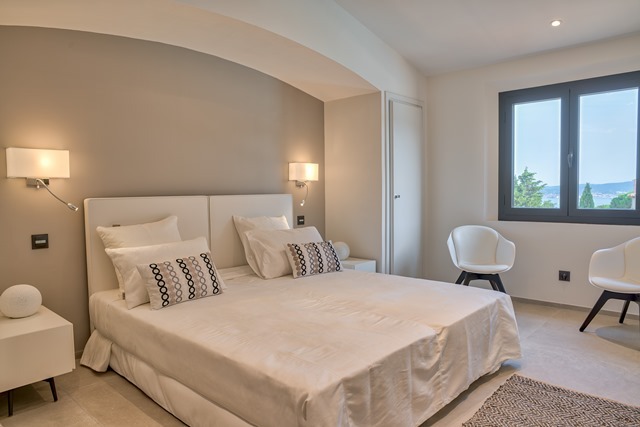 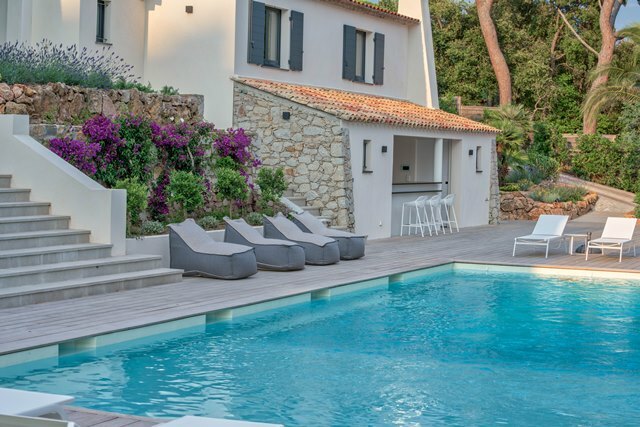 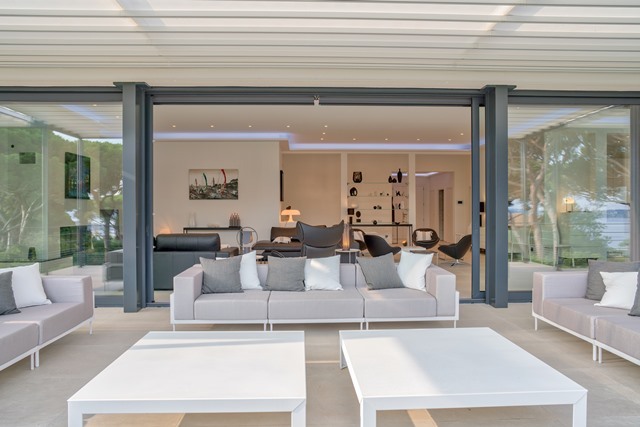 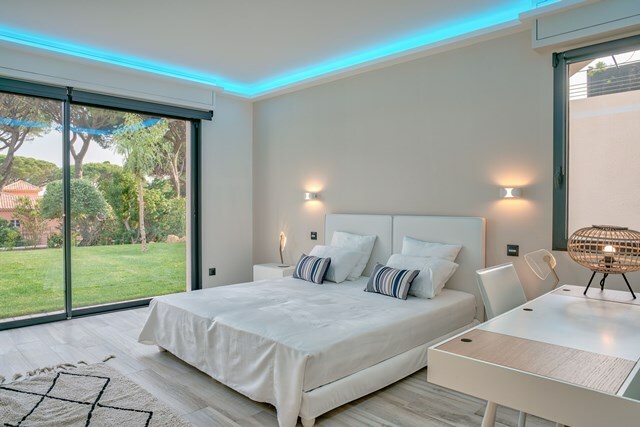 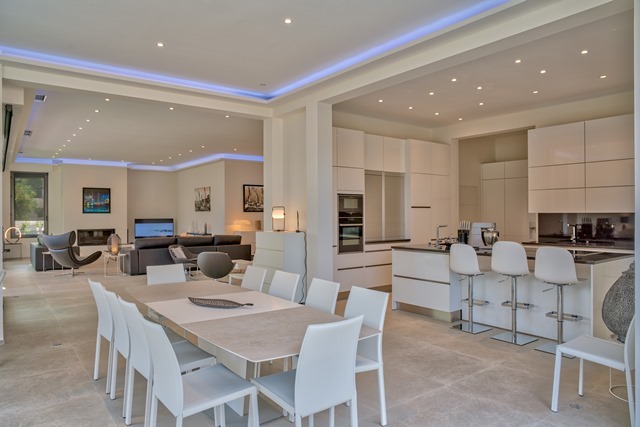 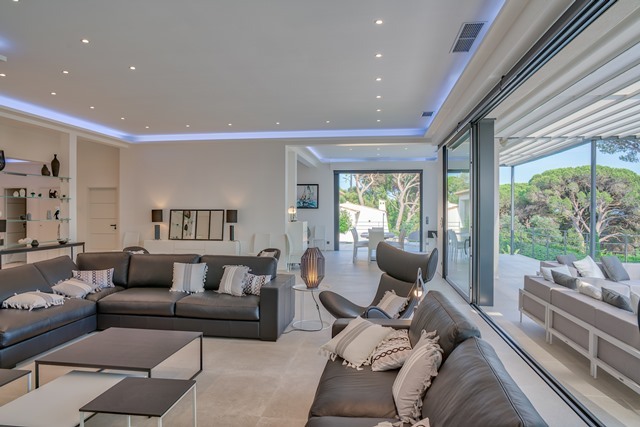 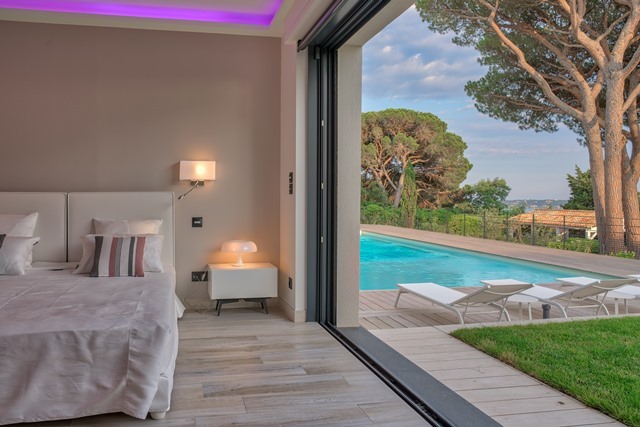 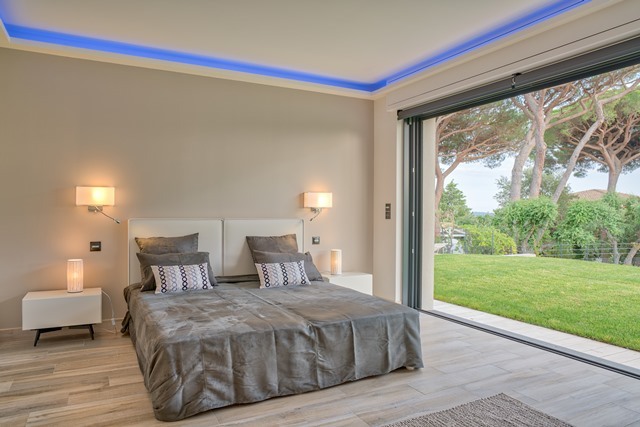 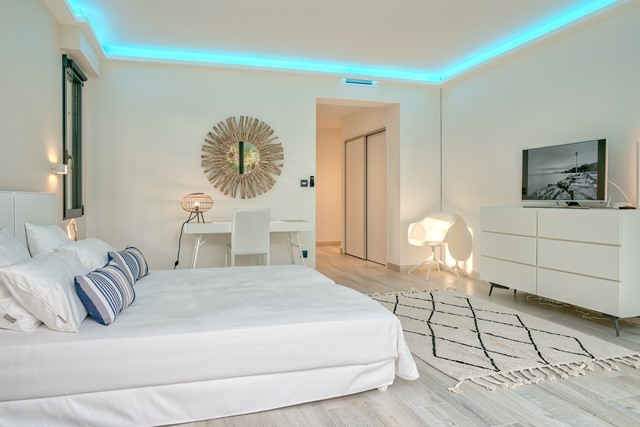 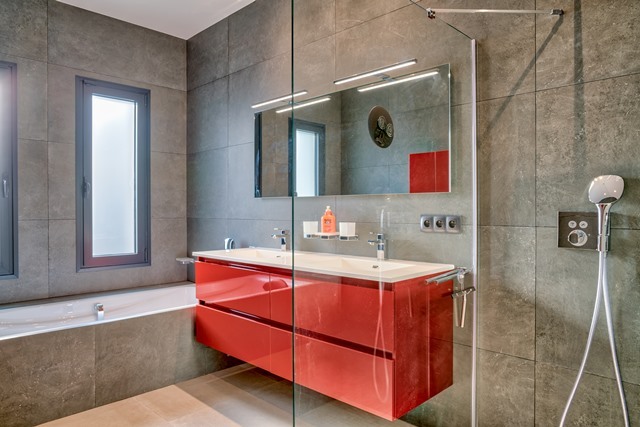 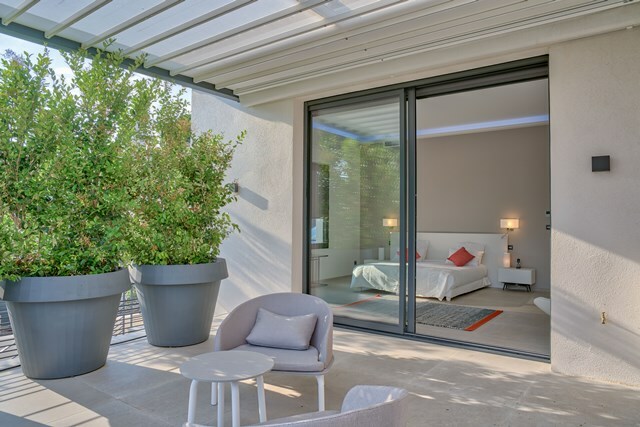 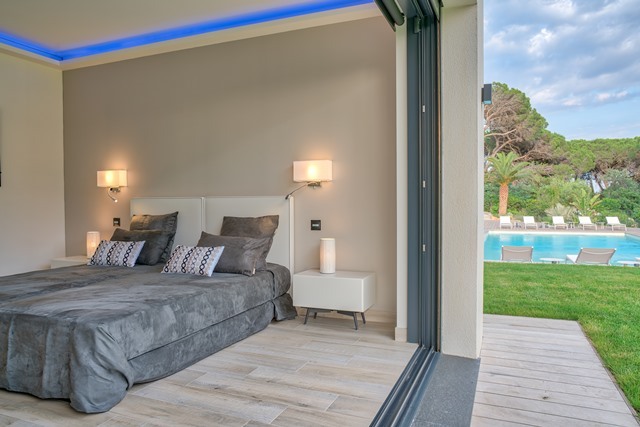 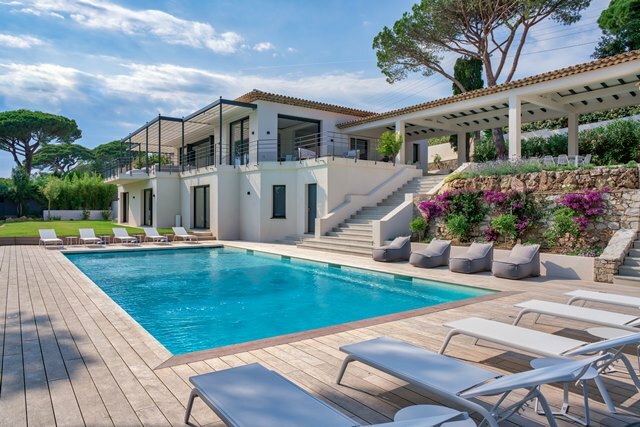 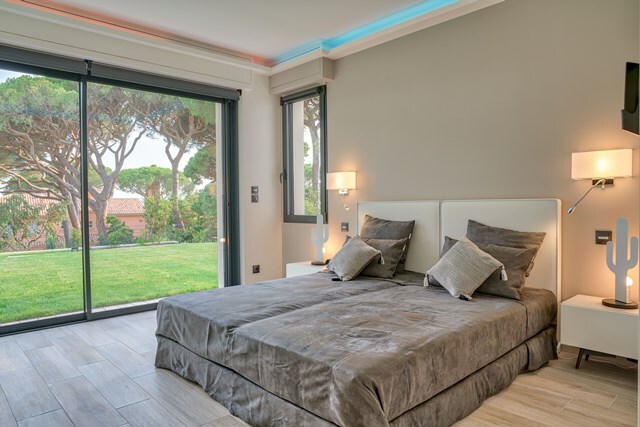 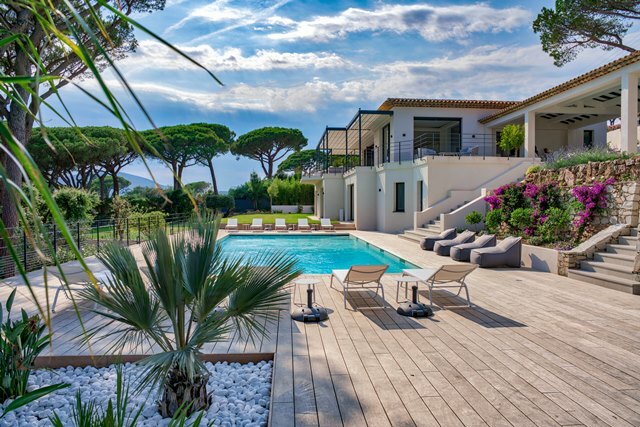 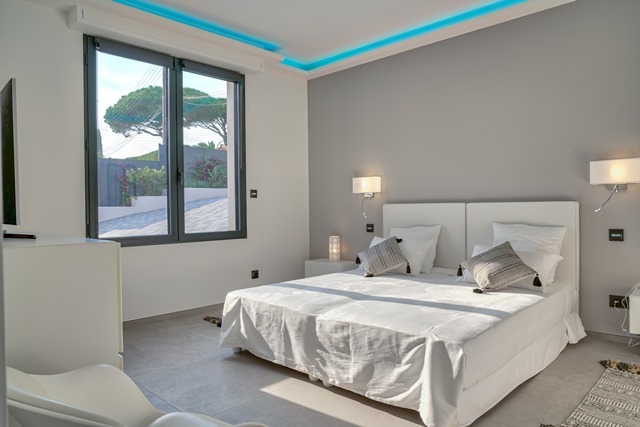 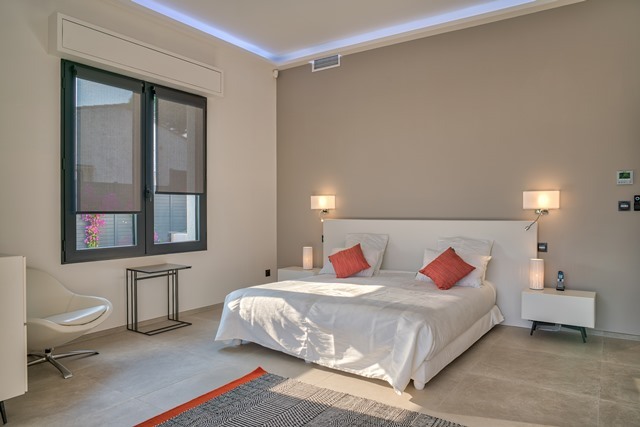 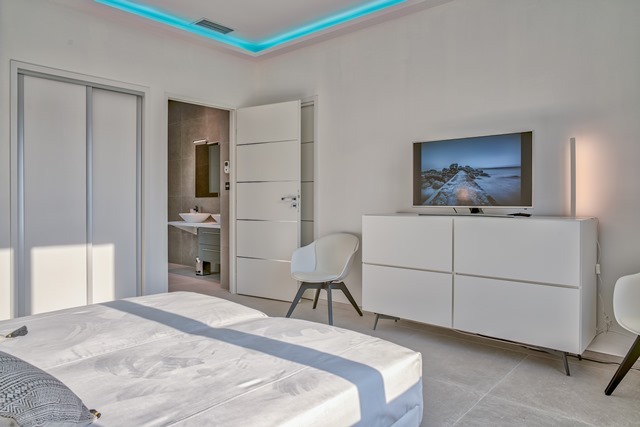 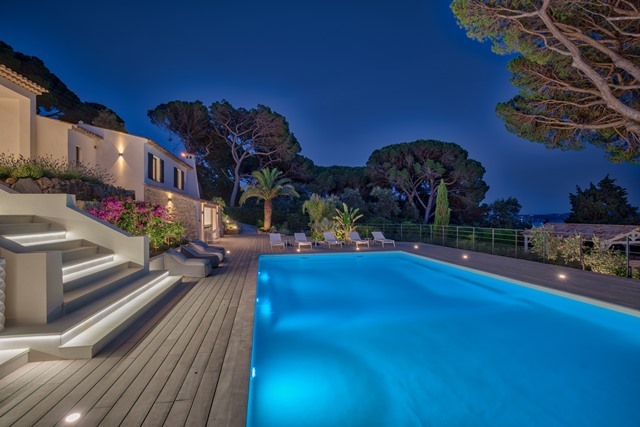 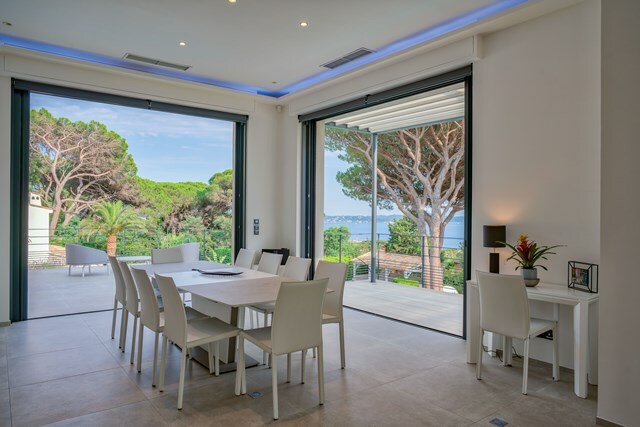 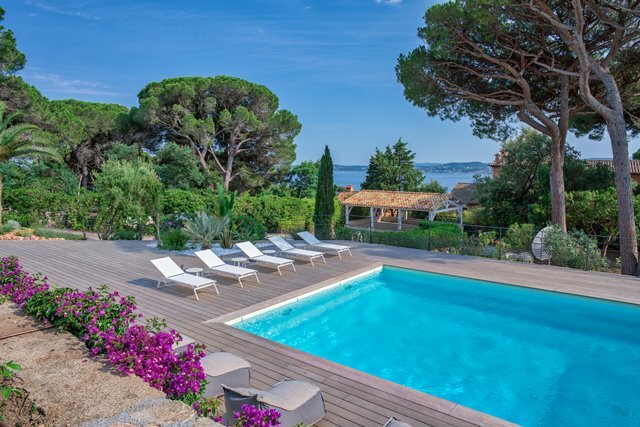 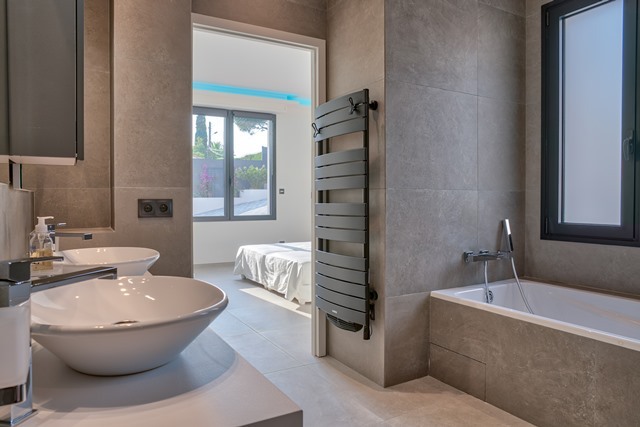 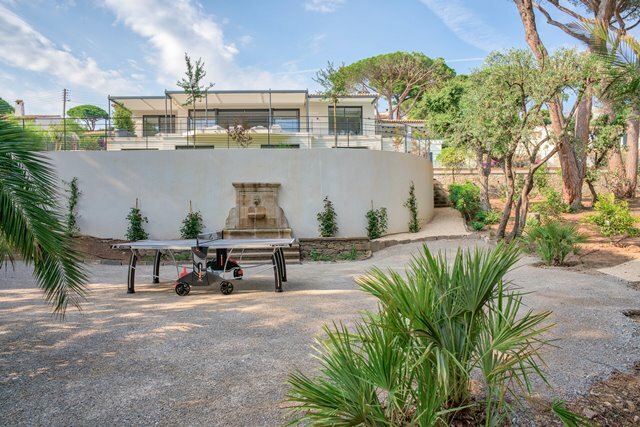 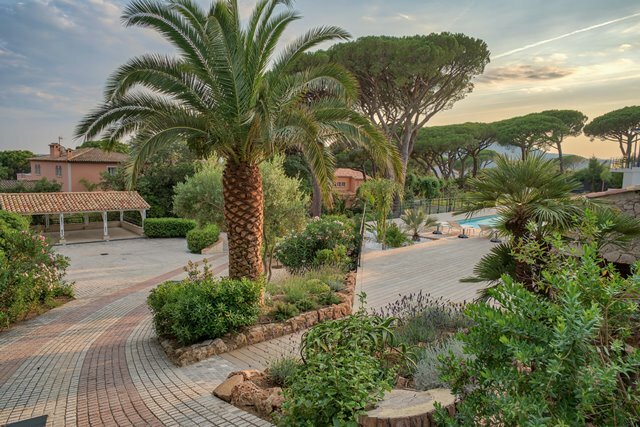 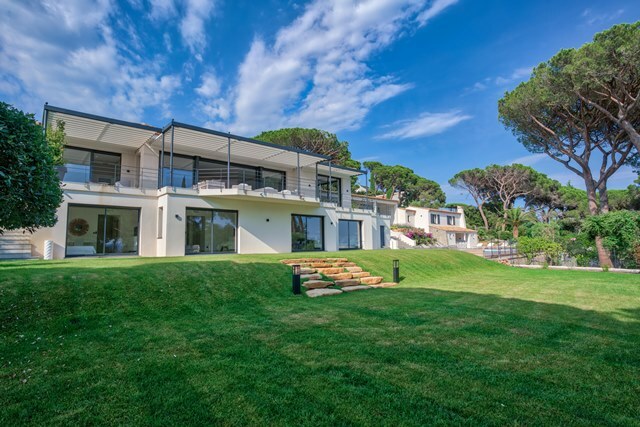 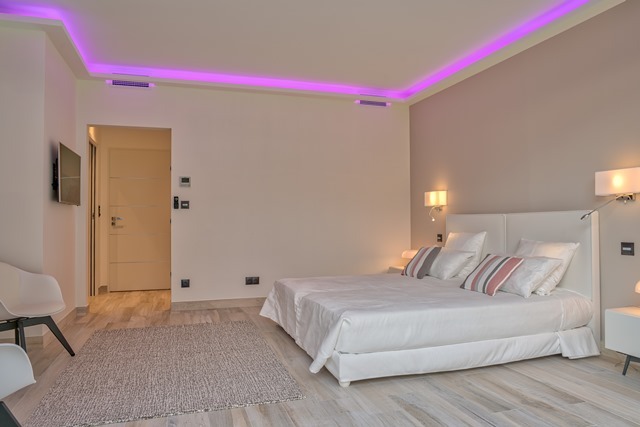 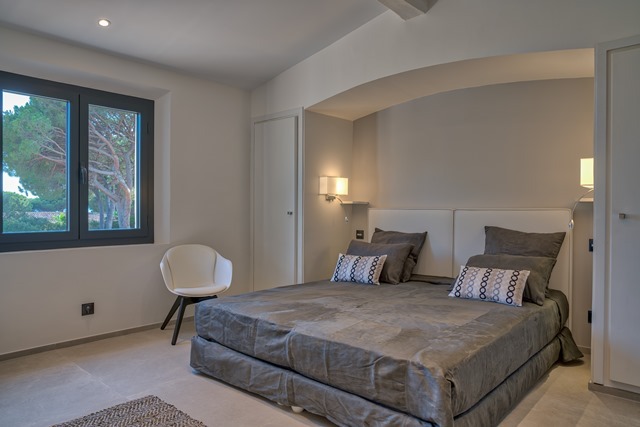 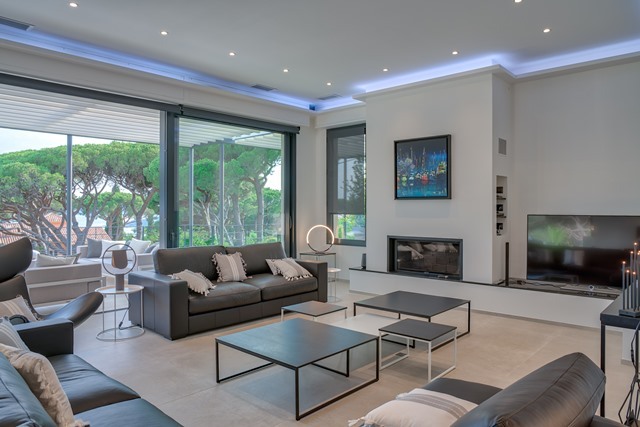 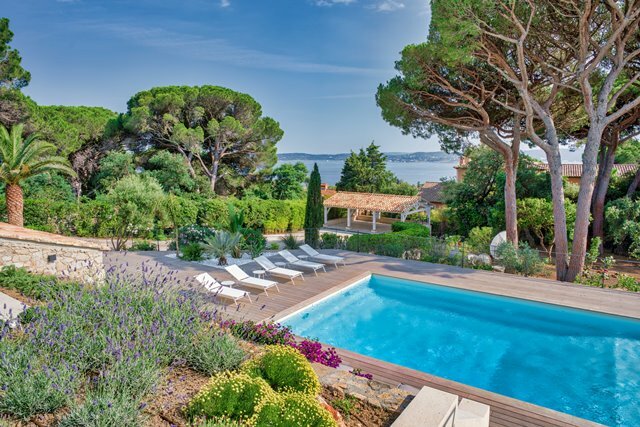 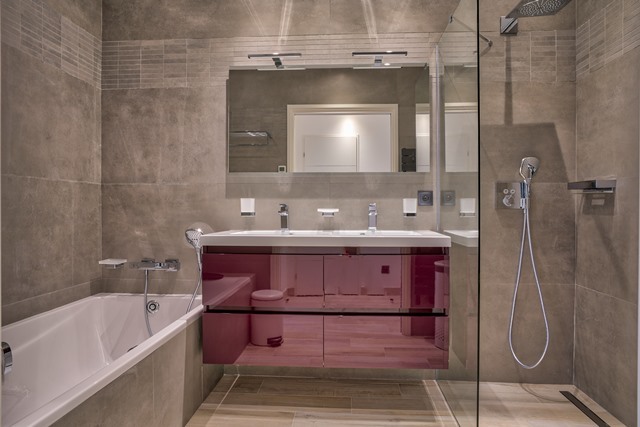 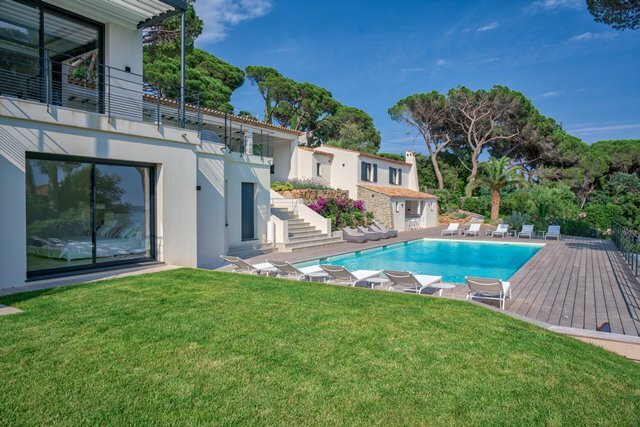 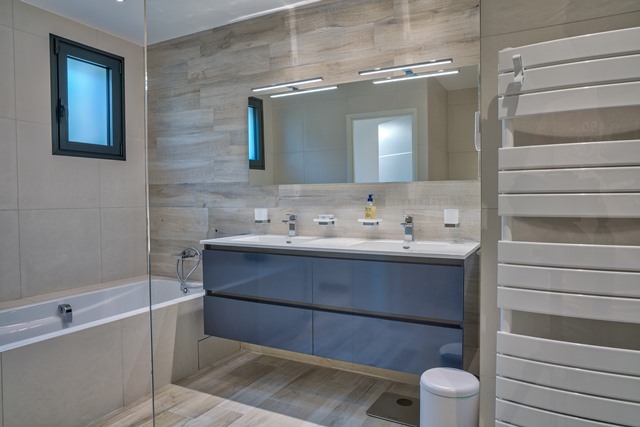 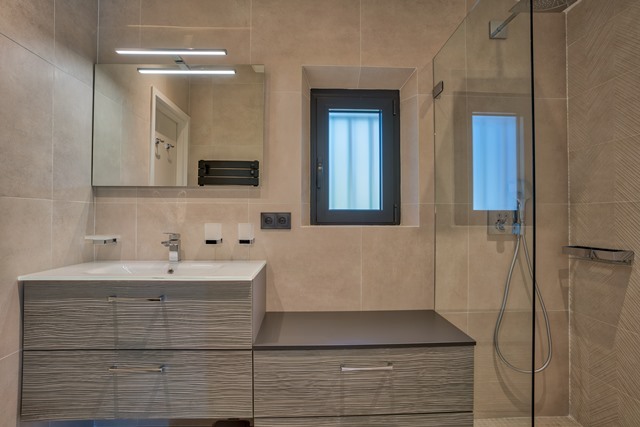 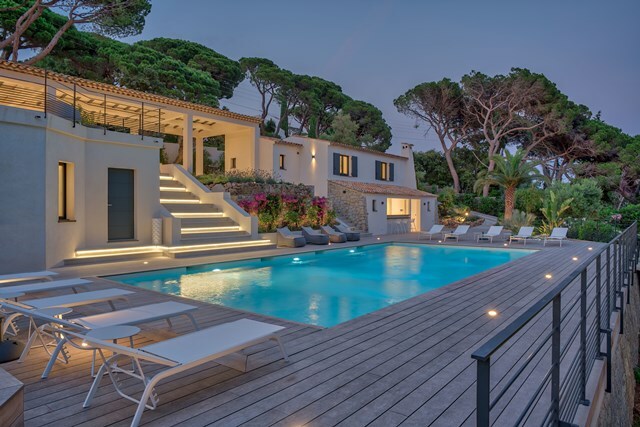 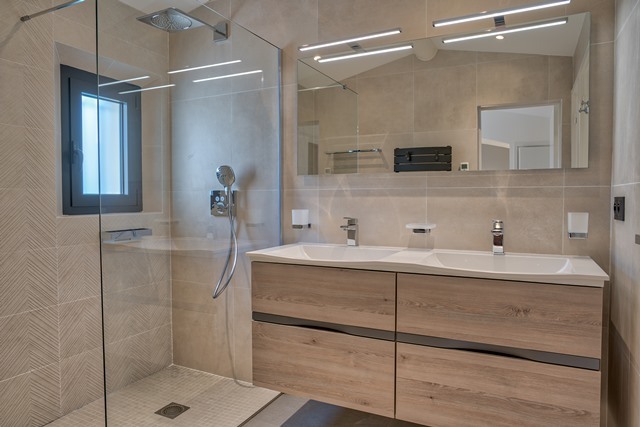 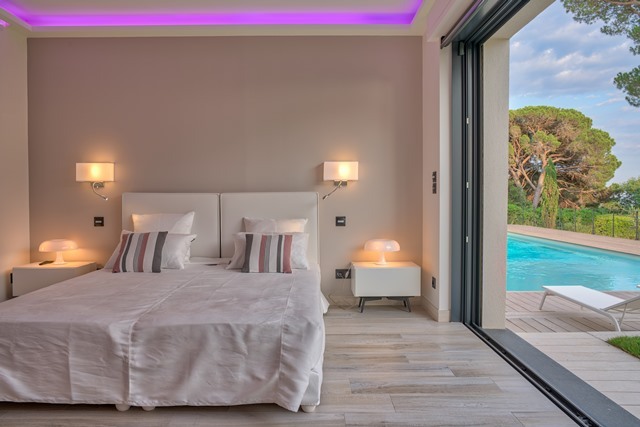 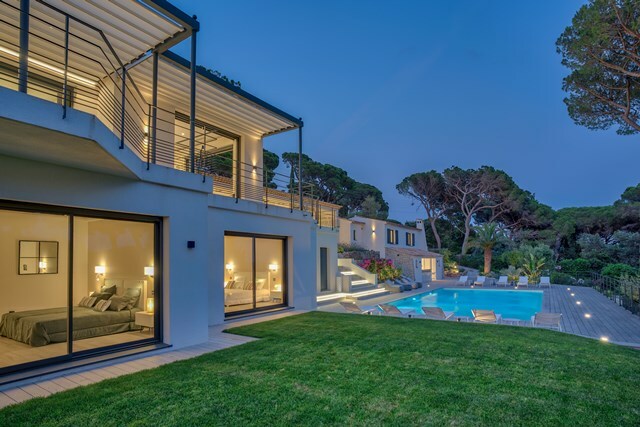 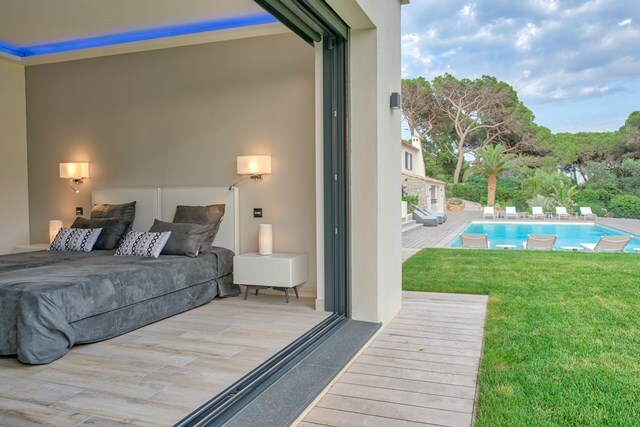 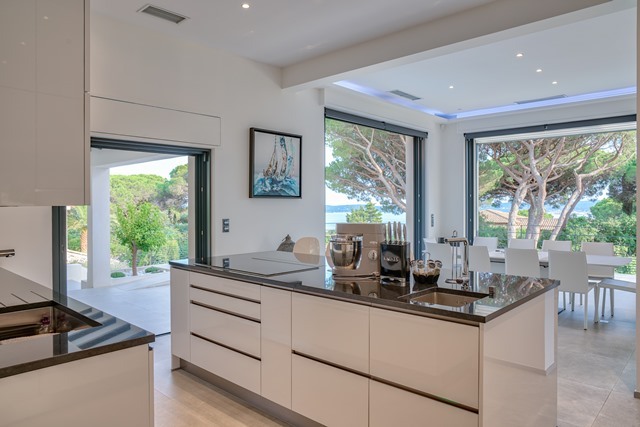 Located in the village of Sainte Maxime in the heart of the residential district Semaphore, this splendid 8 bedroom villa offers hotel services a la carte. 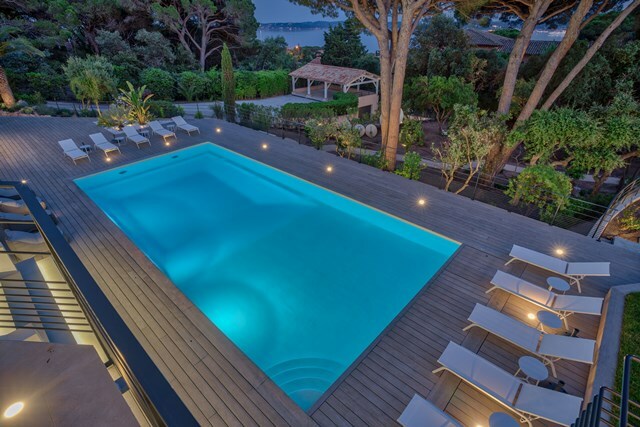 It invites you to enjoy a relaxing stay in a secluded environment. 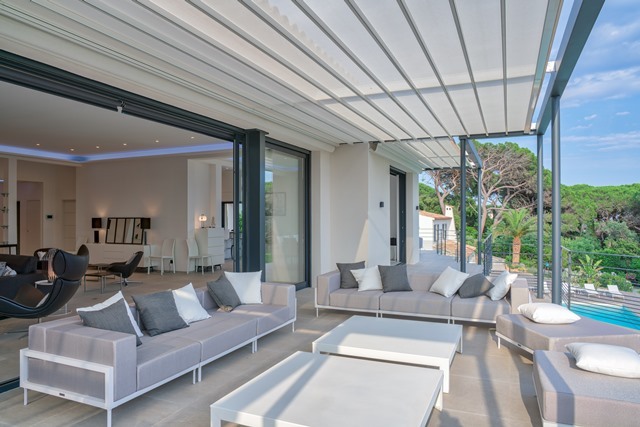 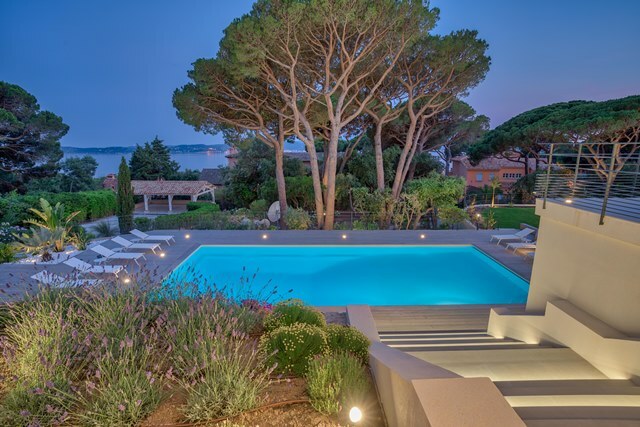 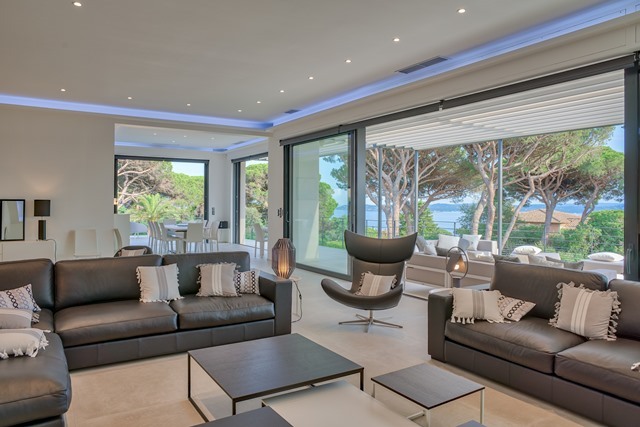 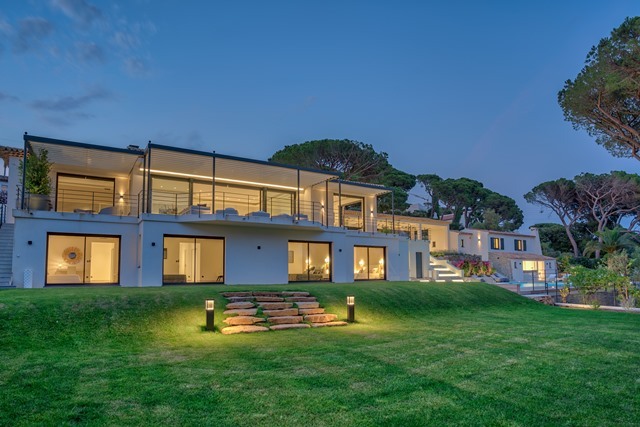 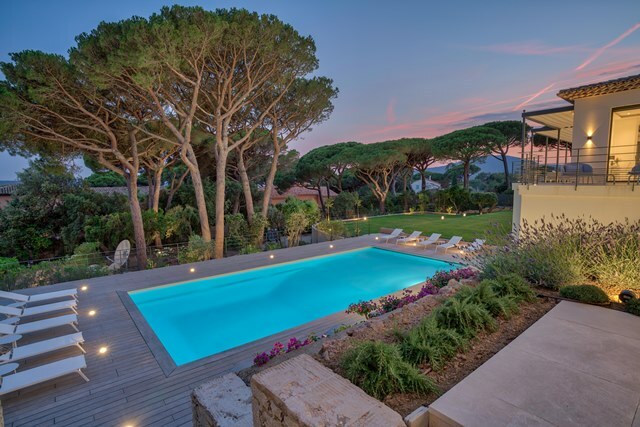 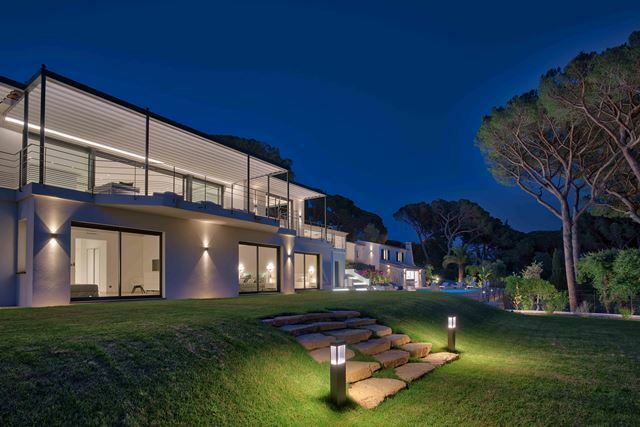 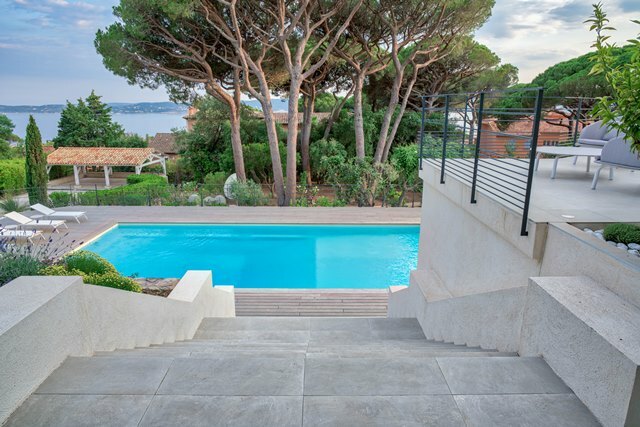 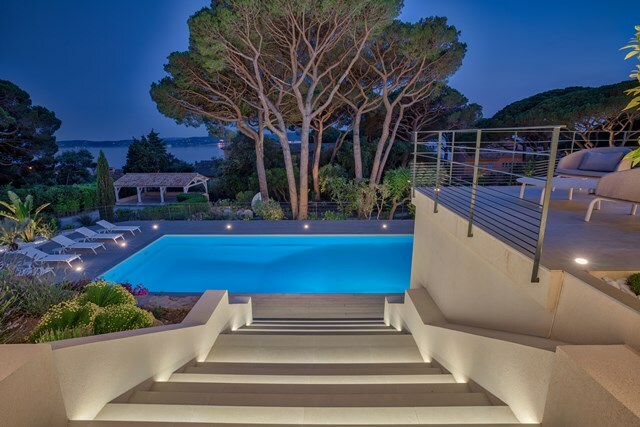 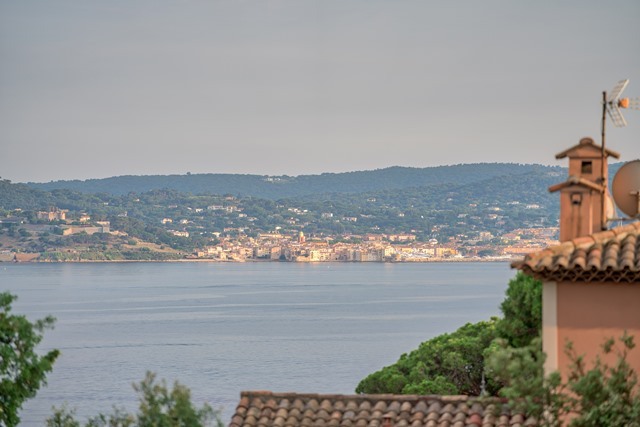 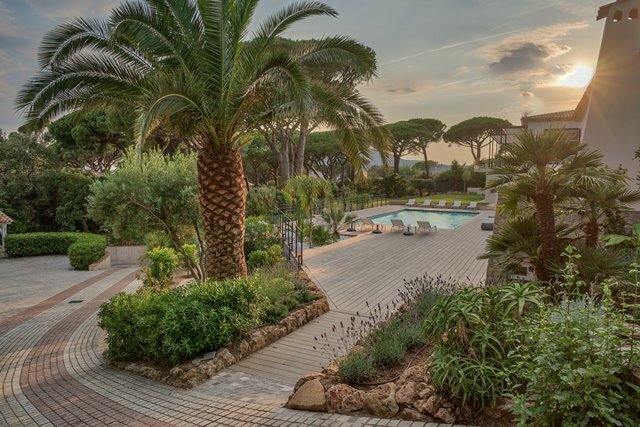 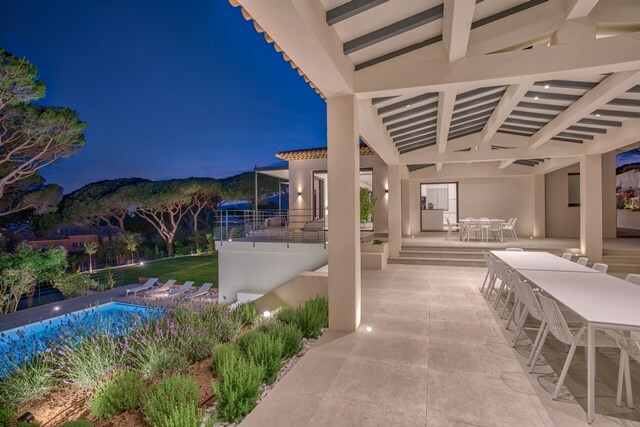 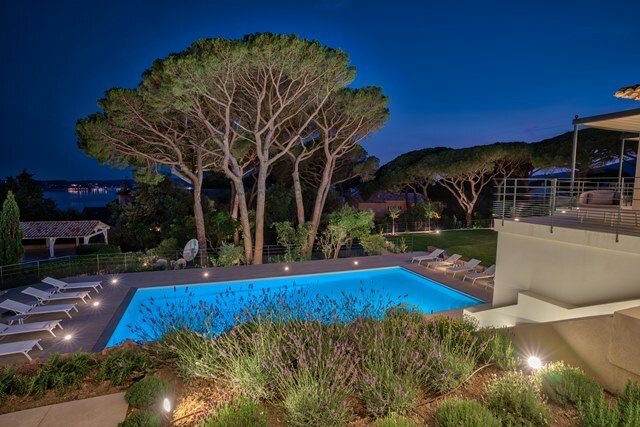 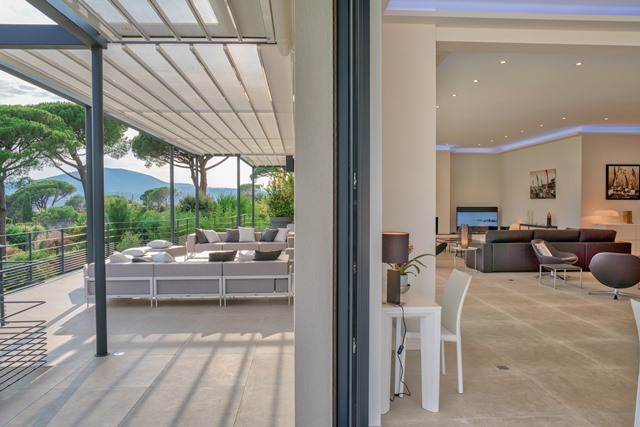 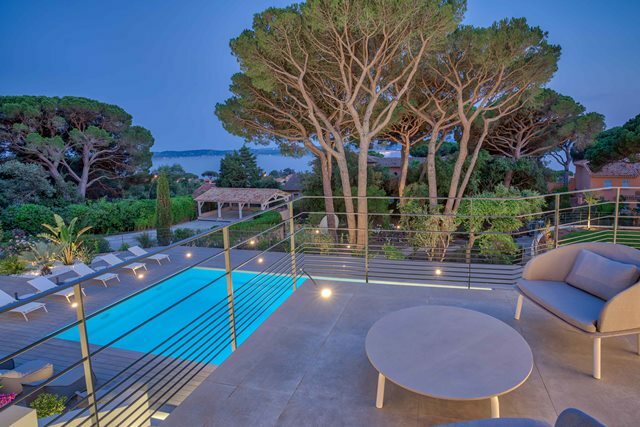 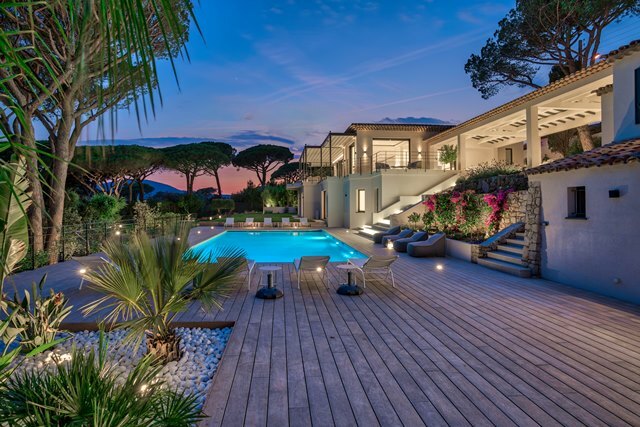 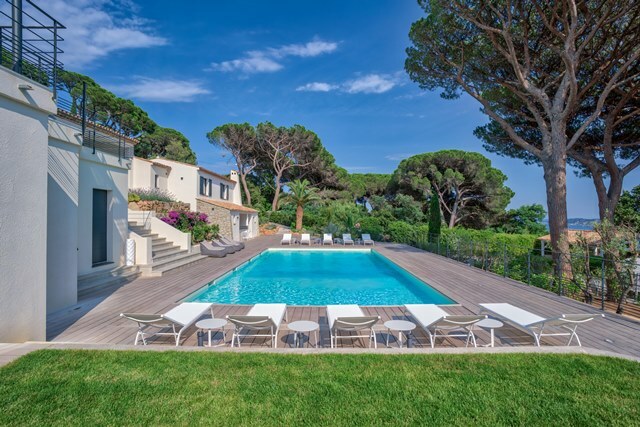 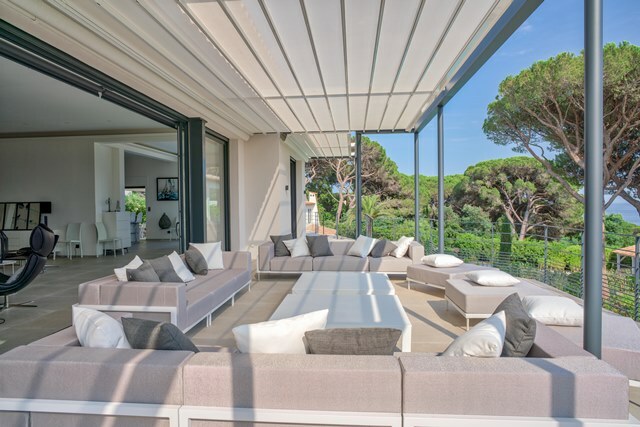 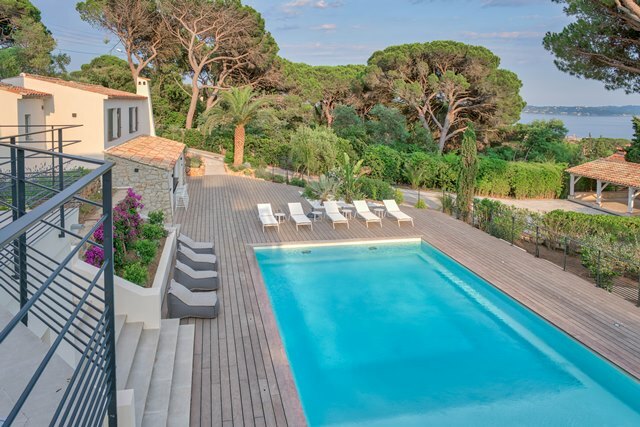 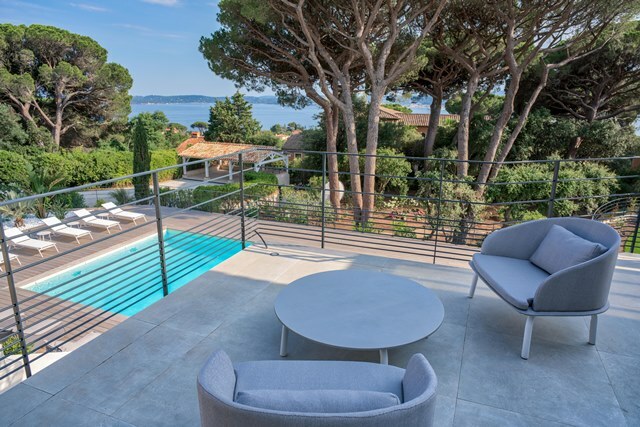 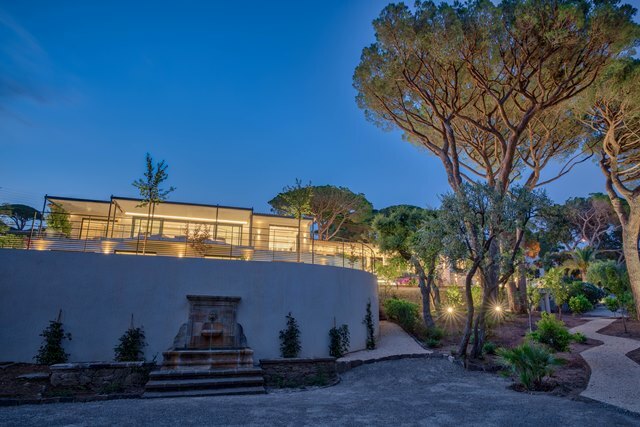 Villa Amelya has a breathtaking view on the sea and the village of Saint Tropez. 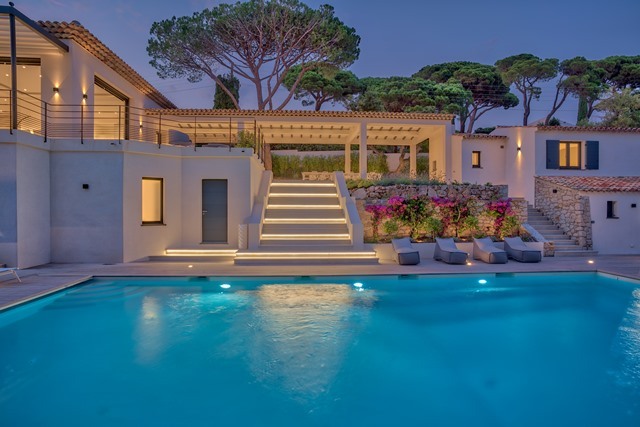 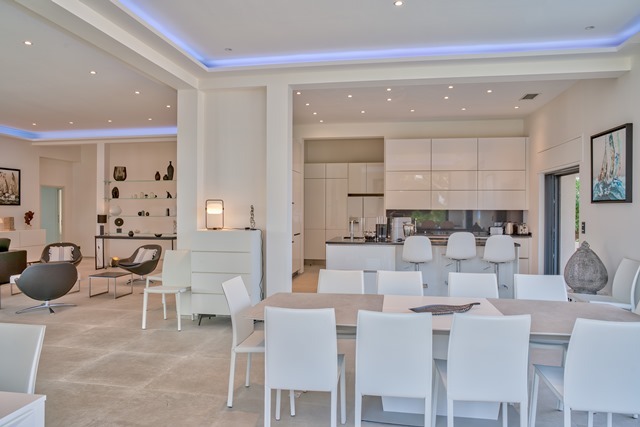 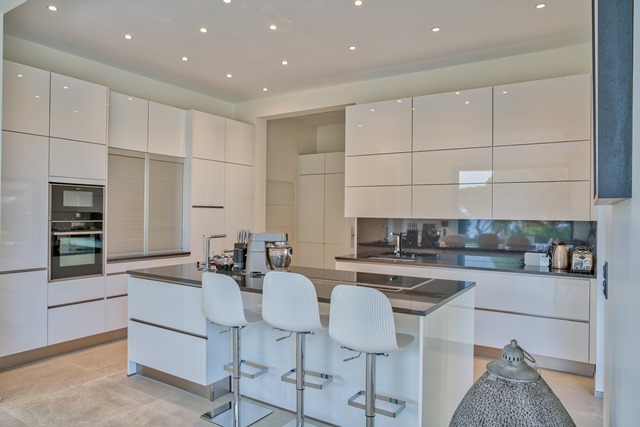 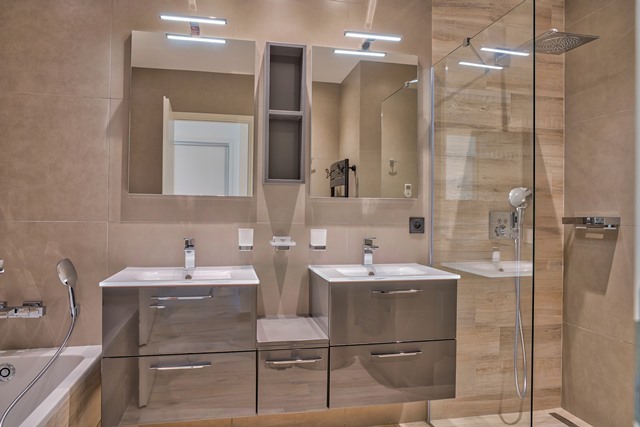 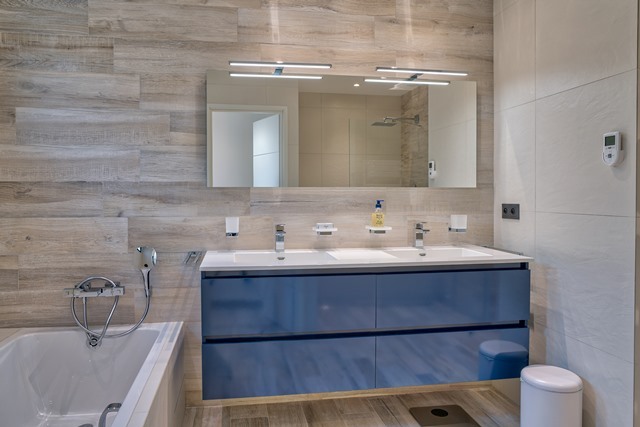 Its southern and contemporary architecture offers large volumes and open rooms overlooking a beautifully wooded garden with swimming pool heated. 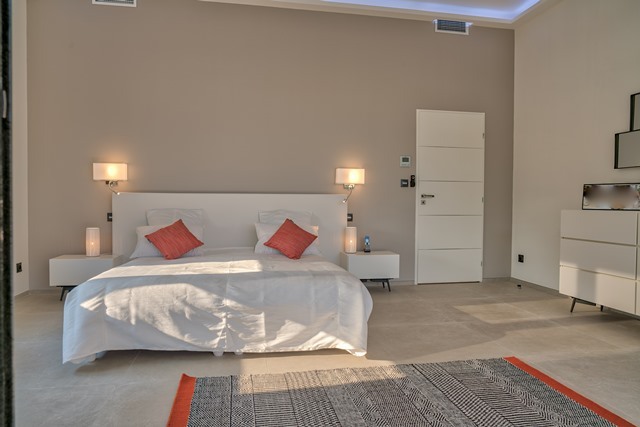 Villa Amelya consists of a main villa and an independent house on two levels.